This cocktail gets its name because of its powerful bomb like effect of quickly turning your sobriety to ashes! 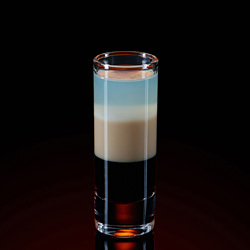 To live up to its name, it was concocted to be a shooter but overtime its drink type variation has also become popular. Not only that, the traditional sweetener; triple sec, is replaced by other liqueurs like Blue Curaçao to make delicious blue kamikaze. This recipe explains them all. 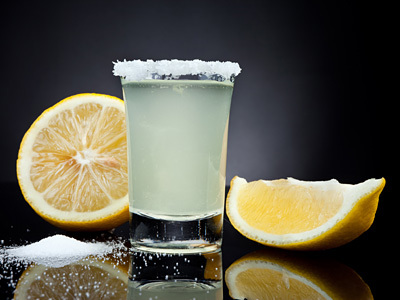 For drink: Shake all drink ingredients with ice and strain into ice filled lowball glass. Replace vodka with tequila for a change.